International Festival at ORNL | Sólo para Mí! Thanks to alliance between United Way and ORNL, I had the opportunity to participate as a volunteer in the international festival at ORNL. 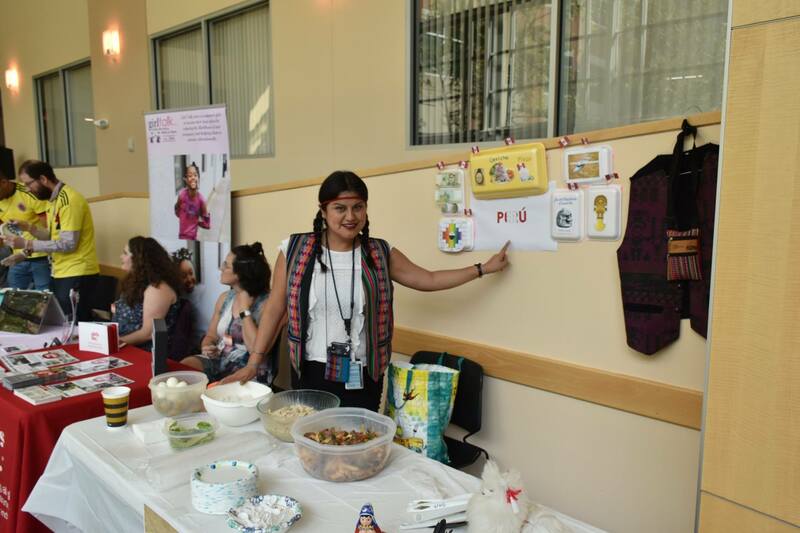 The appointment happened at August 16 where more than 12 countries showed dance, food, and more information about the country some employees were born. In my case I showed something about Peru, like food: I prepared Aji de Gallina and Lomo Saltado, also I put some pictures about the Ceviche, Pisco Sour, Quinoa, The Chakana symbology, architecture places and the currency of Peru. It was an incredible experience where I met many new international people and I tasted some new delicious food from their original places. Thanks to ORNL again for promoting diversity and let us help to others with culture. This is Lisa, one organizer of the event and you can see that all my dishes were totally sold. This entry was posted in Events and tagged Aji de Gallina, Ceviche Peruano, cuisine Peru, culture, food, Julita Inca, Julita Inca Chiroque, Logo Saltado, ornl, Perú, Pisco Peru, Quinoa del Peru, United Way. Bookmark the permalink.